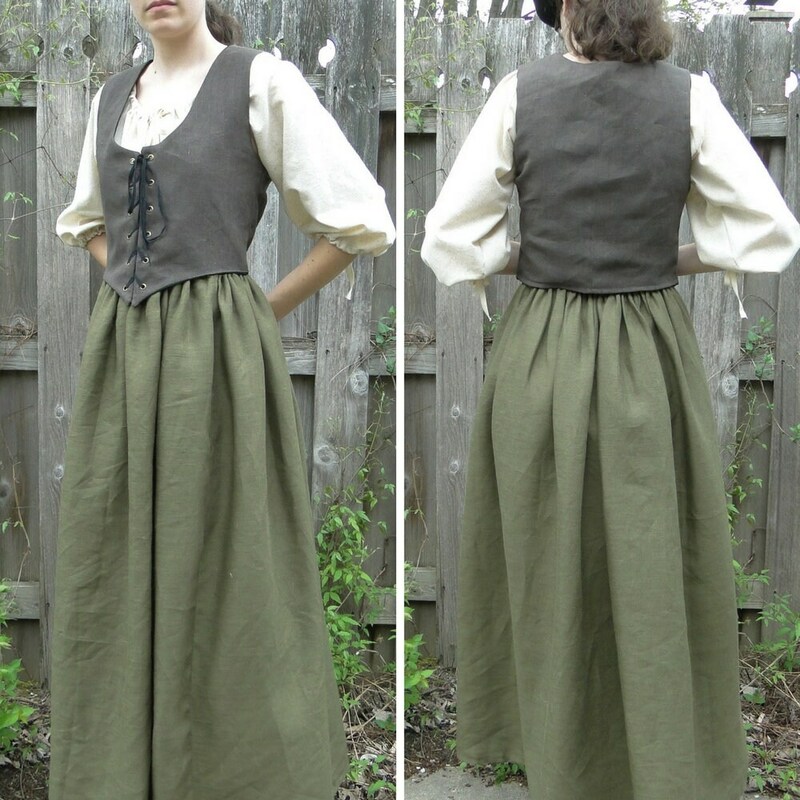 Complete women's Renaissance costume! 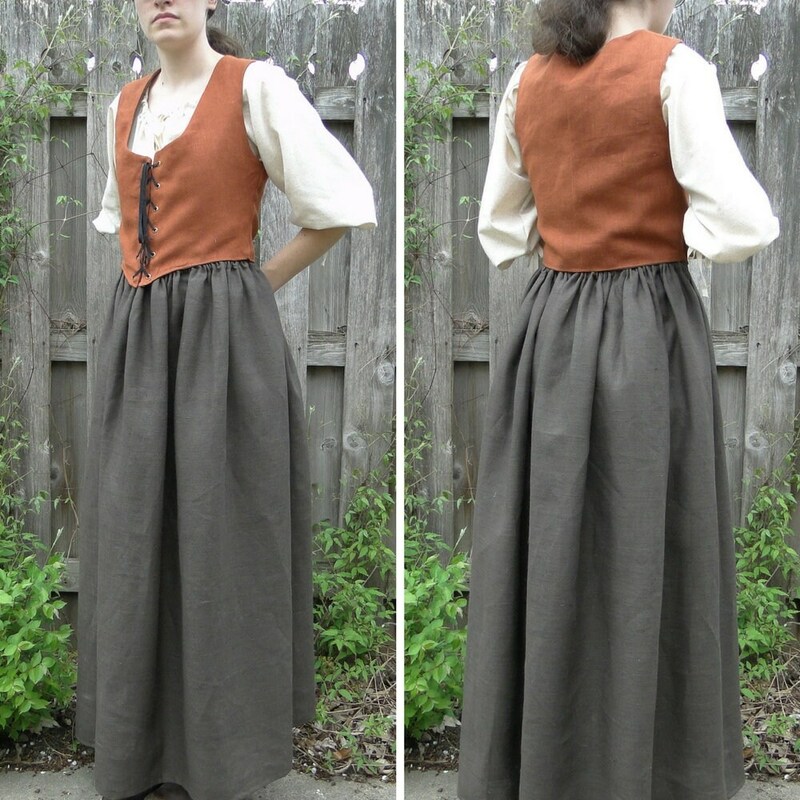 This lovely 3 piece set includes a reversible bodice (so you can wear two different colors!) 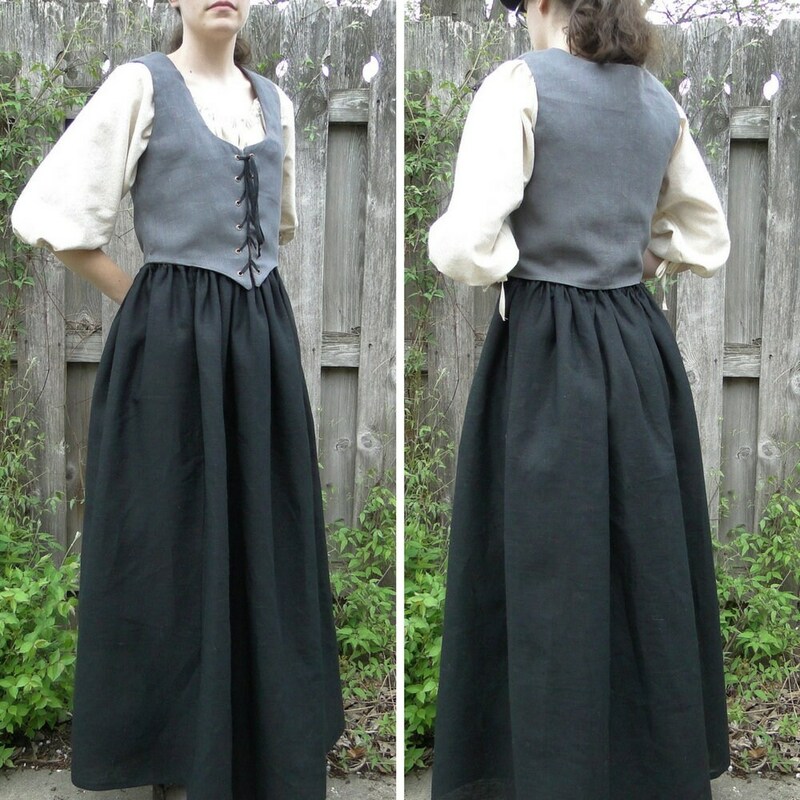 a skirt & chemise. 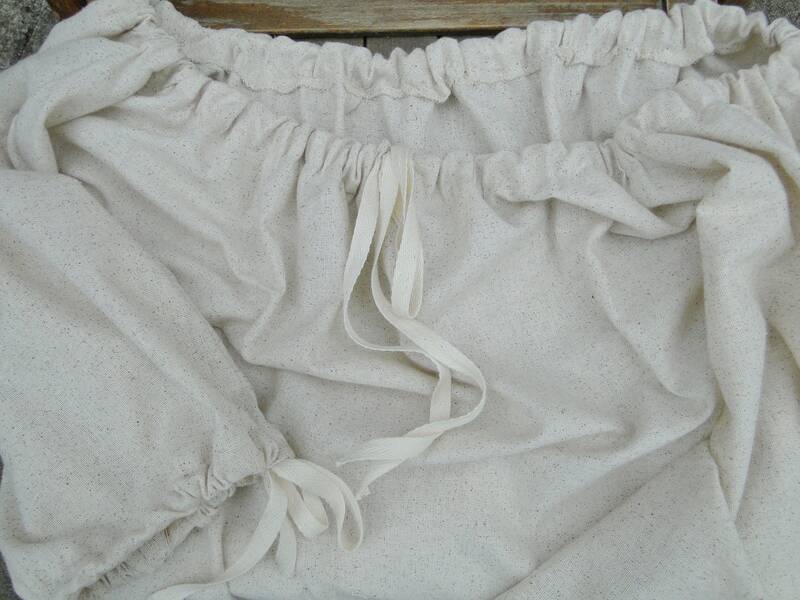 Made with high quality 100% linen fabric and soft muslin, which gives the dress a wonderful historical look and feel. Breathable and comfortable to wear - select your size & colors at checkout. Fully reversible, so you can wear two different colors! 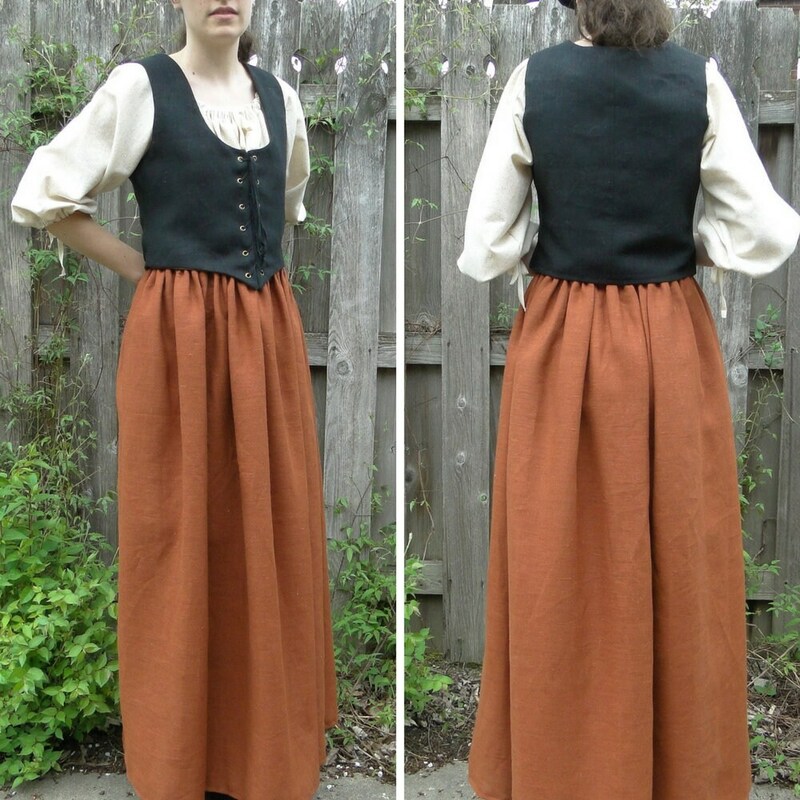 All bodices are lined with brown canvas, except the brown bodice, which is lined with black. Easily laces up with black twill ribbon through strong double sided grommets. Supportive boning runs down the front alongside the grommets to keep the lacing area straight and smooth. Choose your size at checkout. 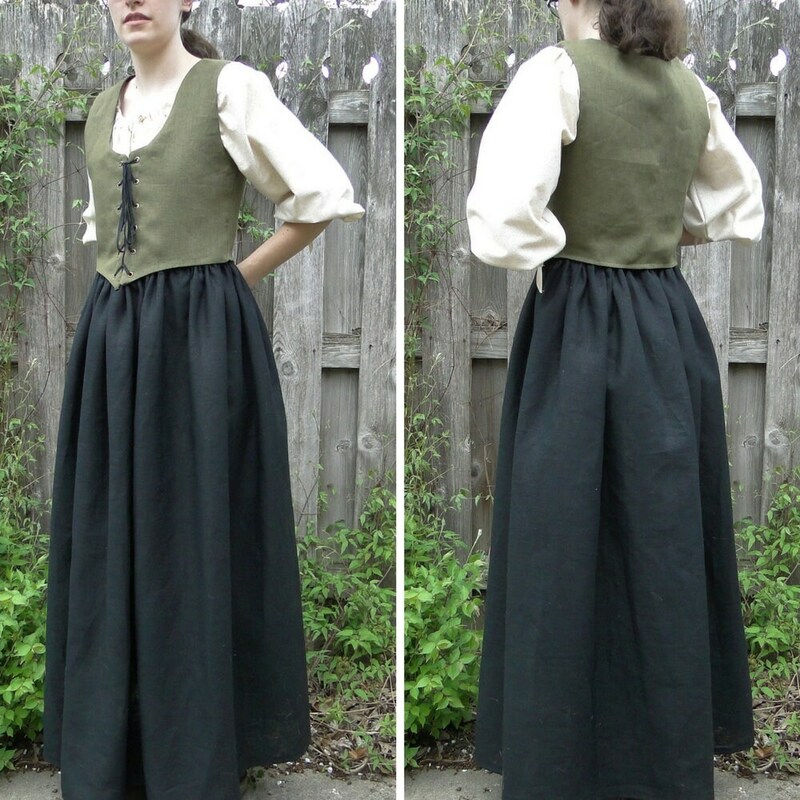 Waist is an adjustable drawstring, fits women's size S-XL. They are nice & full, 42" long from waist to bottom. 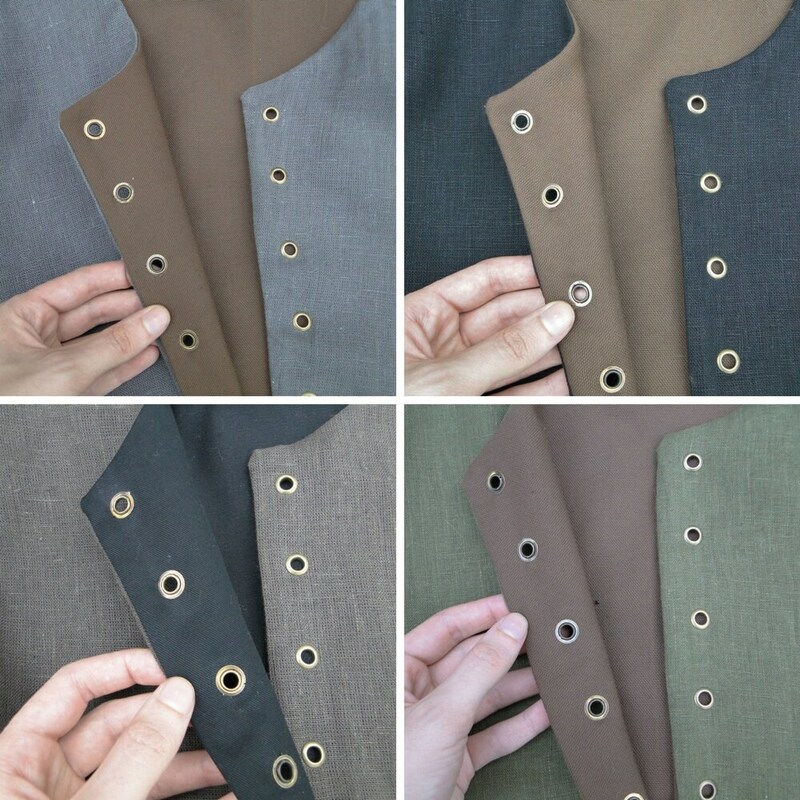 Can also be hemmed shorter at your custom length; (contact us). Pieces may also be sold separately, by request. Thank you so much. Love it. 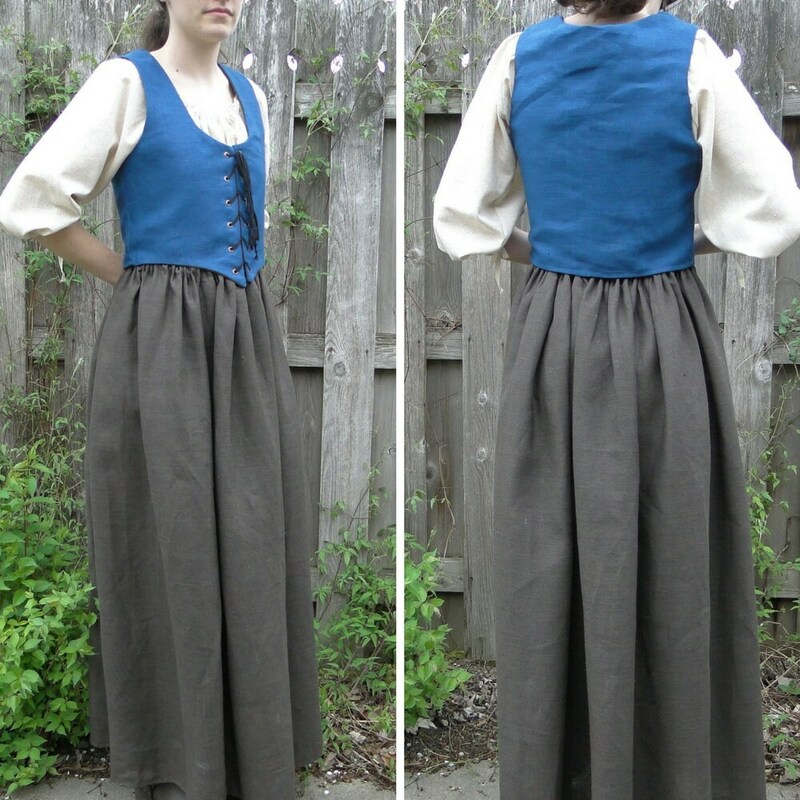 My Claire (Outlander) 3 piece set arrived today!!! I couldn’t be more happy!